This much we know: biodiverse urban green spaces are good for us. Research has shown that people regularly exposed to them feel better, exercise more, and have lower rates of disease; while those in areas experiencing biodiversity loss—a common symptom of urbanisation—appear to exhibit declining health. Consequently, biodiverse urban green spaces are a well accepted component of modern Smart Cities. Less clear, however, are the reasons why they’re so beneficial. But ongoing research at the University of Adelaide promises to shed significant new light on the subject. A research team from the University’s School of Biological Sciences is investigating the possibility that a diverse bacterial community, or ‘microbiome’, in urban green spaces can prime people’s immune systems with beneficial bacteria. According to lead researcher Dr Martin Breed, an Australian Research Council DECRA Fellow, the preliminary results appear to support the idea. “We collected a variety of samples for comparison, such as soil, air and leaves, from different urban green space types in Bournemouth (England), New Delhi (India) and the City of Playford in northern Adelaide,” says Dr Breed. 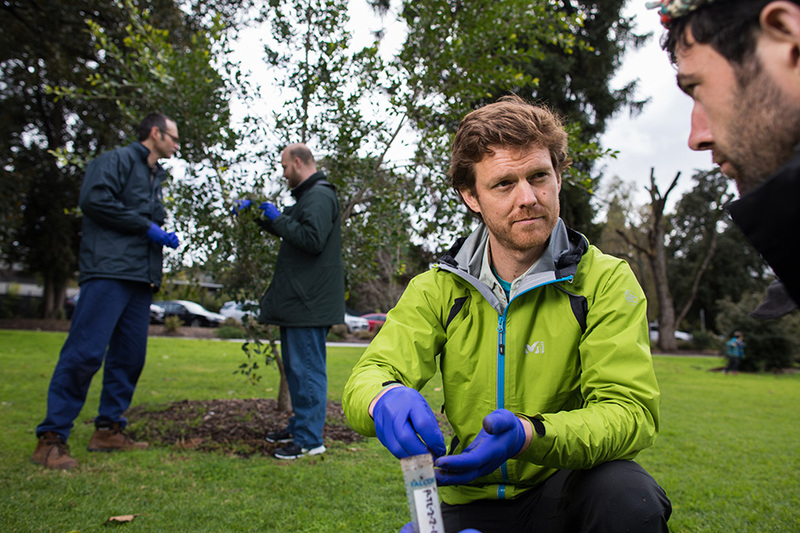 The urban green spaces sampled, all within city limits, included bare ground, lawn, lawn with trees, restored areas, and wild remnant vegetation, with the team’s initial analysis appearing to verify the microbial value of each. Dr Breed says he and his colleagues have also been excited by early results of multiple species of beneficial bacteria present in soils also appearing on the urban green space users’ skin and nose samples. The team’s analysis is continuing. This entry was posted in Environment, Impact stories, Science, Smart cities. Bookmark the permalink.